The operation principle is based on the action of a series of Reed micro-switches located inside de guide tube, switching on and off by means of magnet placed inside the float, which moves along the guide tube due to the level of the liquid. 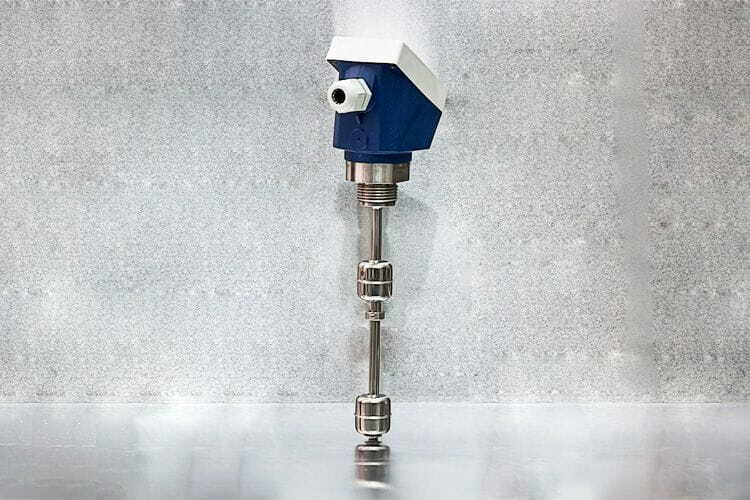 Magnetic level switch for vertical mounting, widely adaptable to the requirements of the application: with ot without connection box, length and number of contacts to choose, process connection by means of thread or flange, etc. Great operating versatility thanks to its change-over contacts. Threaded or flanged connection. Up to 4 switches. Maximum temperature operation 125ºC.